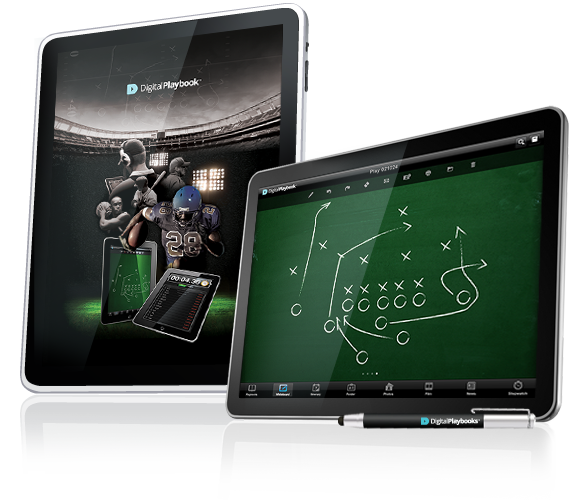 Our proprietary Digital Playbook™ app is the optimal solution for sports franchises interested in transitioning their business and marketing operations to an online medium. 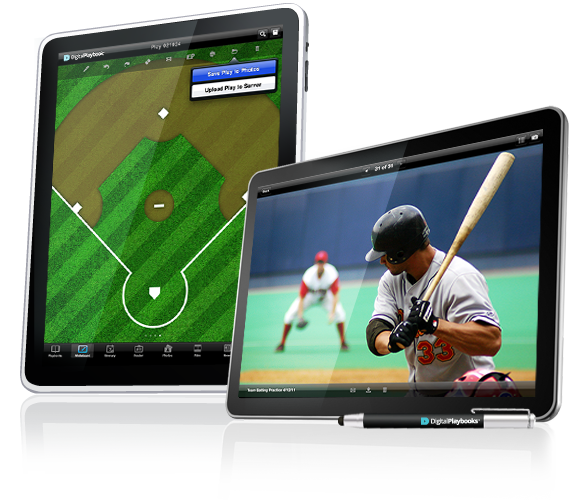 Study your team's gameplan, watch video and manage your players and coaches. 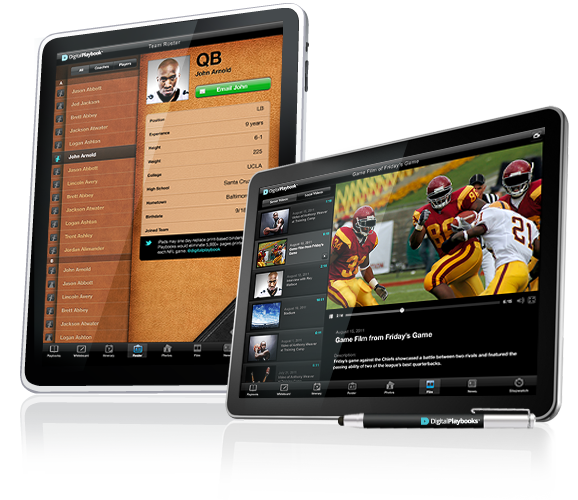 Digital Playbook™ is the sports team playbook app designed for your sports team and developed for Apple's iPad®. 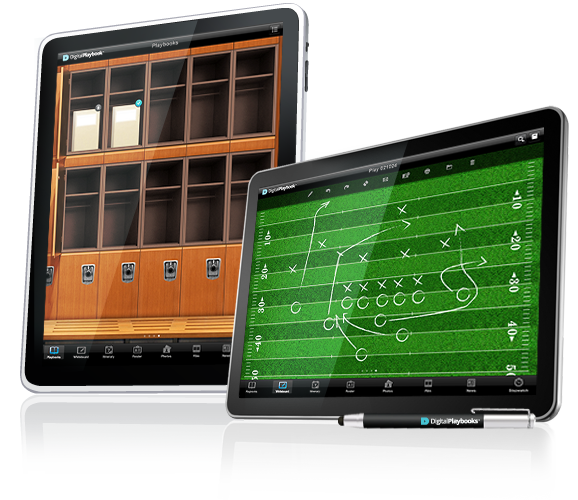 Manage proprietary content and digital assets via a team's secure content management portal Add/delete users, playbooks or other digital media assets. 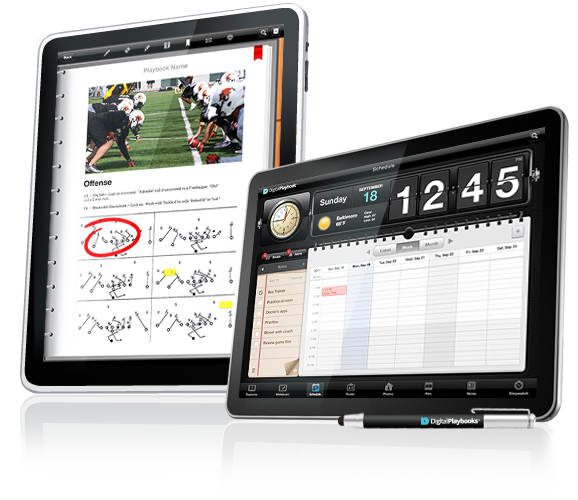 Assign players and coaches user-specific access credentials uniquely set to individual tablets. Grant or restrict access to content depending on priviledges designated on the admin side of the App. 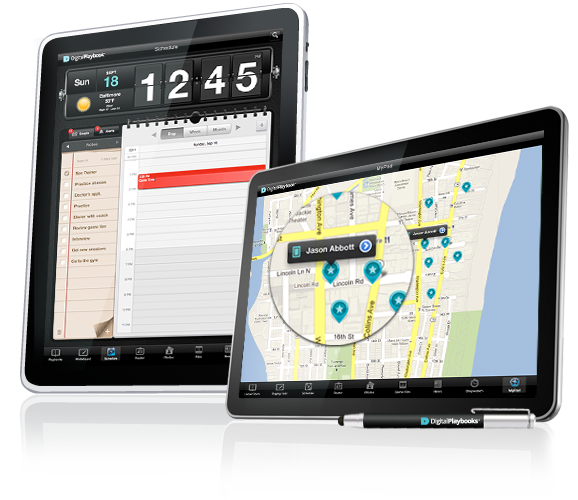 Track an iPad's location using a device's UDID and Google Maps. 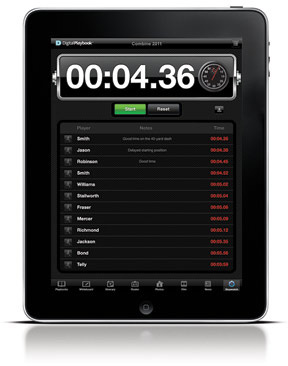 Instantly view if an iPad has been stolen or misplaced. 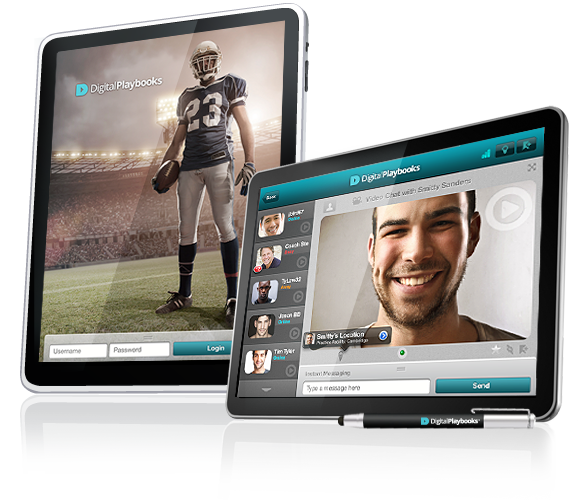 Disable users and delete proprietary content from devices remotely. 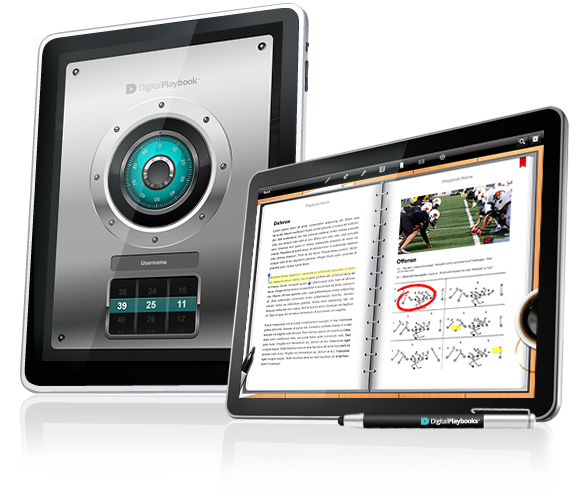 Download playbook content securely and enable data encryption for all local versions of server-side files. 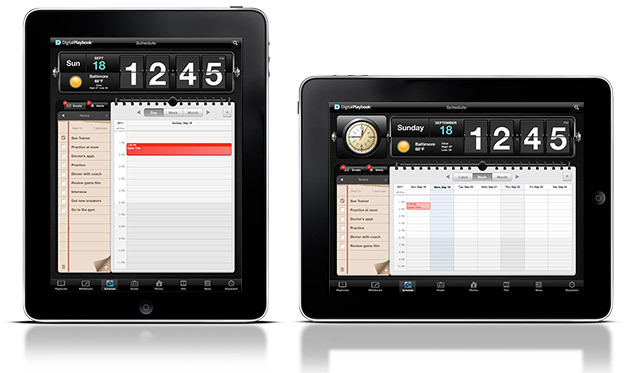 Our interactive features listed above were developed for both iPad2 and iPad3 and integrated to be compatible with iOS 5, IOS 6 and iOS 7. 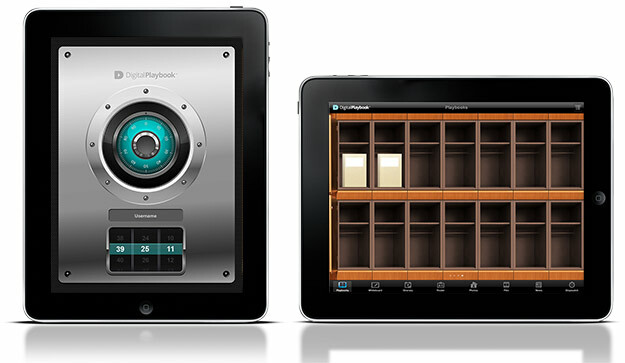 Video recording and Camera features available only on Apple® iPad2+. 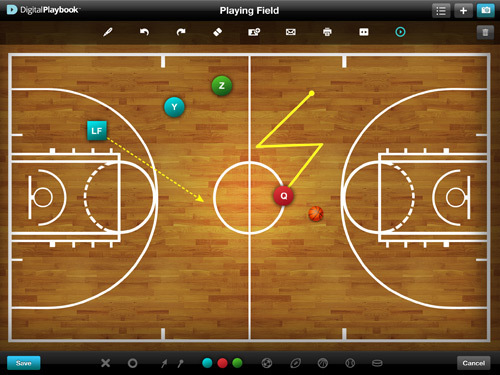 Coaches can design and draw quick schemes and sketches in real-time. 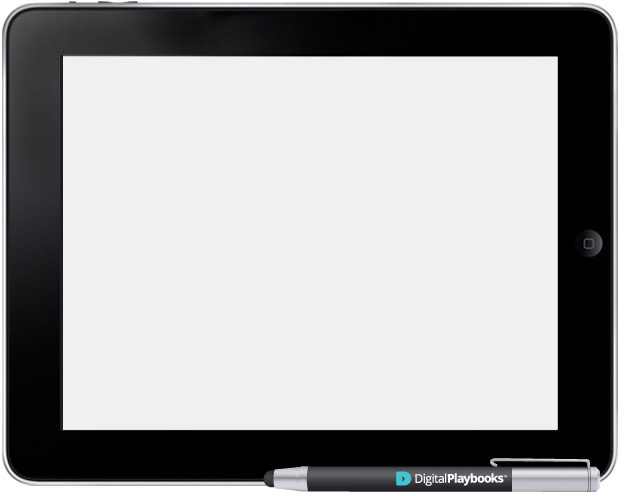 Develop new plays or edit existing ones with our digital whiteboard. 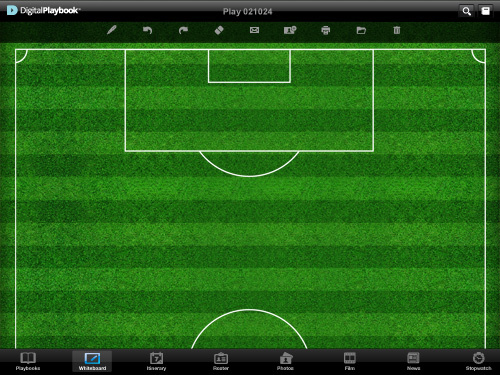 Import recently shot photos and continue editing with the Whiteboard drawing tools. 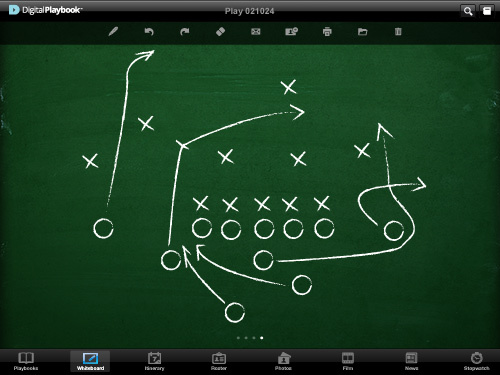 Create and manage your coach and player rosters within Digital Playbook™ and enable communication among players and coaches within the organization. 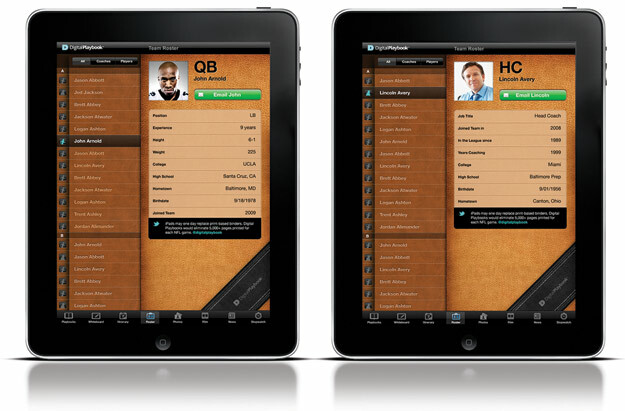 Add or delete users in the web admin and the iPad automatically displays an updated roster list. Add individual Twitter accounts and automatically feed a player's latest tweet. 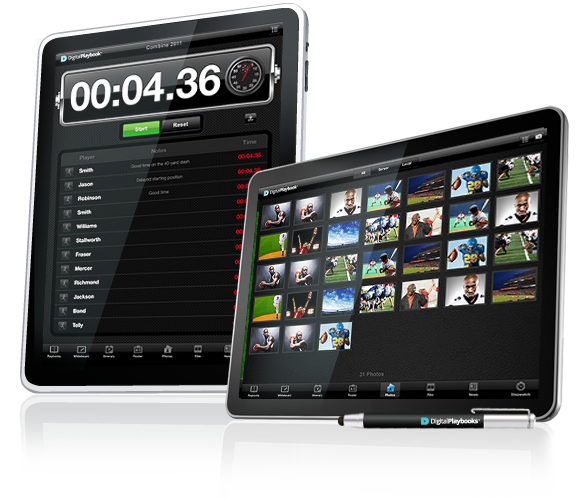 Manage & distribute game film and other video content from a team's remote Web portal. 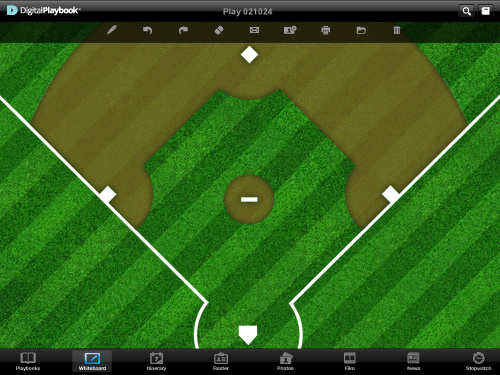 Shoot video using iPad's camera and trim segments prior to uploading to the server. 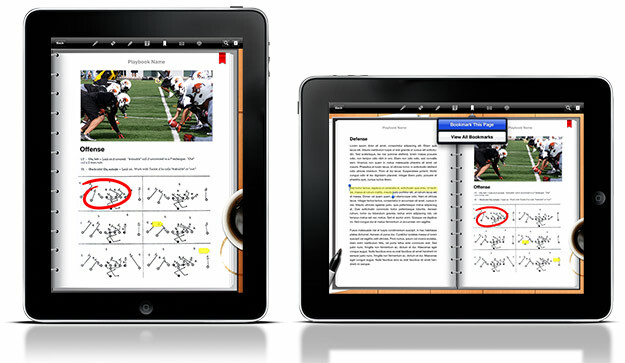 Annotate video with notes and diagrams to enable players to study individual plays and routes. Snap photos of key practices, players or recent injuries. Email photos to players and coaches or upload to a secure location on your team's secure server. Import photos into Whiteboard for additional drawing capabilities.